The idea that online gaming giant PokerStars would buy the struggling Atlantic Club Hotel-Casino in Atlantic City brings additional intrigue into the ongoing Internet gambling legalization debate. The Wall Street Journal reported Thursday that PokerStars is negotiating to purchase the Boardwalk property from private equity group Colony Capital for less than $50 million. This part is not a surprise. For that price, acquiring the casino originally built by Steve Wynn in the 1980s as the Golden Nugget and most recently operated as the Atlantic City Hilton is practically a steal. One question, however, supersedes all others. Can PokerStars which agreed to pay $731 million to the federal government in August to settle a nine-count criminal indictment actually gain licensing approval from the ultra-strict New Jersey gaming regulators? And, if PokerStars, which is based in Isle of Man, were to pull off this transaction, might the company attempt a similar move in Nevada? Legal sources Friday confirmed the Wall Street Journal report and said PokerStars attorneys have spent time recently in New Jersey. According to the newspaper, the deal hinges on New Jersey legalizing online gaming in the state where a bill is currently under debate in the legislature. If approved, gamblers would only be able to access the websites from within New Jerseys borders and the websites would be operated by Atlantic City casinos. PokerStars resolved its legal troubles with the U.S. Department of Justice on Aug. 1. The charges were part of the federal governments April 15, 2011 crackdown on Internet poker in the U.S. The company and its founders were named in a nine-count indictment and were accused of bank fraud, money laundering and running an illegal gaming business. 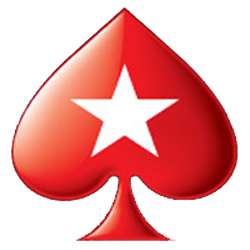 PokerStars agreed to pay the $731 million settlement but didnt admit to any of the allegations listed by government prosecutors. The company is also not prohibited from re-entering the U.S. gambling market. However, the PokerStars founder, Isai Scheinberg, remains under indictment on the various charges, has not entered the U.S., and hasnt been arrested. The settlement called for Scheinberg to step down from any management duties with the company, which is now run by his son. New Jersey gaming regulators all but kicked MGM Resorts International out of Atlantic City in 2010. The Division of Gaming Enforcement decided Hong Kong businesswoman Pansy Ho, MGM Resorts joint venture partner in Macau, was unsuitable. The ruling was primarily due to her ties with her father, controversial billionaire Stanley Ho, whose Macau casinos are alleged by international law enforcement to under the influence of Chinese organized crime triads. Pansy Ho has never been accused of wrongdoing, nor has she ever paid a multimillion dollar fine to settle a government indictment. Pansy Hos business ties with MGM Resorts were also deemed suitable by gaming regulators in Nevada and Mississippi. Fast forward two years and in Atlantic City, where gaming revenues have declined 38 percent between 2006 and 2011 and continue to fall in 2012, state regulators might be willing to take a chance on PokerStars. A spokeswoman for New Jerseys Division of Gaming Enforcement told the Wall Street Journal that a rigorous investigation would be conducted of any license applicant, including PokerStars. That brings us back to Nevada. Interactive gaming regulations are already in place for online poker and state regulators have licensed some 16 casino operators and technology providers. The first online poker site could go live by the spring. Like New Jersey, Nevadas regulations only allow companies with a traditional land-based casino to operate a website, which can only be utilized by gamblers physically located within the states boarders. Is PokerStars shopping for a potentially low-priced casino in Reno or other parts of the state? That move would continue to add more fascination to the ongoing online gaming legalization debate. Howard Stutz’s Inside Gaming column appears Sundays in the RJ. He blogs at lvrj.com/blogs/stutz. Follow @howardstutz on Twitter.